Limited lifetime manufacturer warranty. Warranty for any hardware in Oil Rubbed Bronze finish is limited to 1 (one year. Call 1-866-731-2244 for complete warranty details, parts and installation inquiries. Unidoor Plus 34-3/8-inch x 54-inch x 72-inch Hinged Shower Enclosure with Hardware in Oil Rubbed Bronze is rated 5.0 out of 5 by 2. Rated 5 out of 5 by ERKS from stunning This unit made my bath room remodel come together. There unit is so stunning I really love it. I also had a chip in the door and it took one phone call and all my worries where gone they replaced the door wow. Rated 5 out of 5 by tnwrenovator from Beautiful looking shower enclosure My wife and I bought this Unidoor enclosure about 8 months ago for a renovation on a house we bought in June 2015. It is the fourth DreamLine product we have purchased. 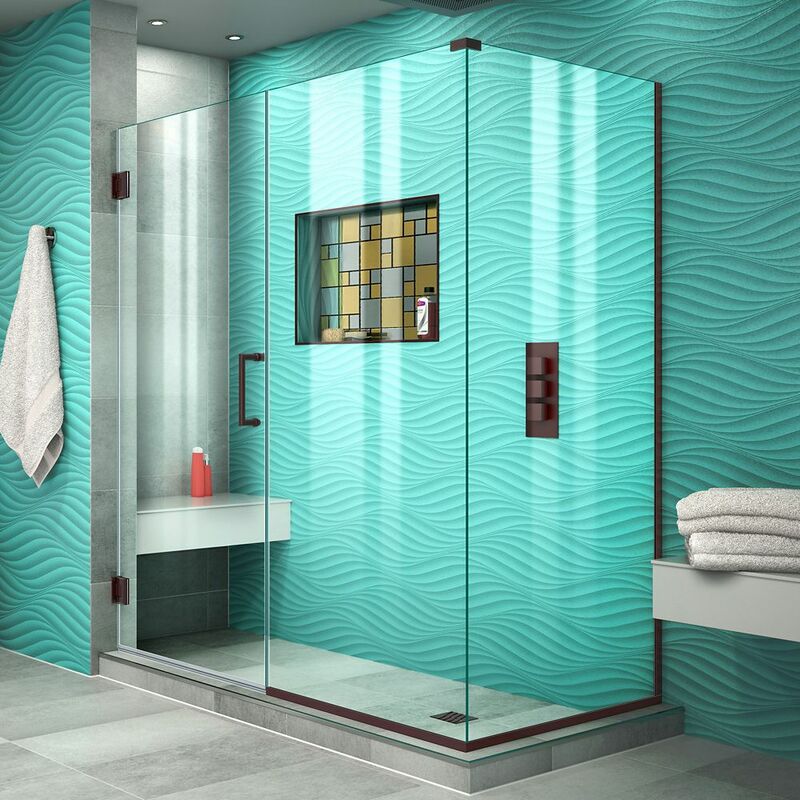 All are great-looking Shower enclosures at roughly 1/2 -2/3 of the custom system prices.